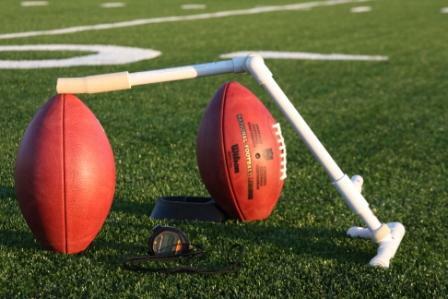 The Kicking Scholarship Package contains a Ground Zero 1″ Onside Kickoff Tee, a Kickstand Portable Football Holder and an ACCUSPLIT AX605 Stopwatch. Save on discounted prices PLUS one item shipping charge for the entire package! Save on discounted prices PLUS one item shipping charge for the entire package!